Please remember when using a hired baby carrier, your child’s safety is your responsibility. Always follow instructions carefully and check for signs of wear and tear, so as not to put your child at risk. There is a charge of £6.50 per 4 weeks for stretchy style new born carriers or £6.50 per fortnight or £10 for 4 weeks for all other types. A full deposit is required, in the form of a cheque payable to slinglibrary.com or you can pay a deposit by pay pal or cash. Deposit values vary according to the replacement cost of the carrier. The cheque will not be banked and will be returned to you upon the safe return of the hired sling. any late fees may be taken from your deposit. The replacement of any lost carriers, accessories or instructions will be paid for out of your deposit. Charges for lost components will be equal to replacement cost (including any postage costs). Charges for items damaged beyond normal wear and tear will be judged on a case by case basis. Subject to availability up to 2 carriers may be borrowed at one time. This may be limited to no more than 1 of each carrier type. Once a carrier is returned another loan may be made. Should the carrier be lost or damaged beyond normal wear and tear, the deposit cheque will be banked to pay for a replacement. 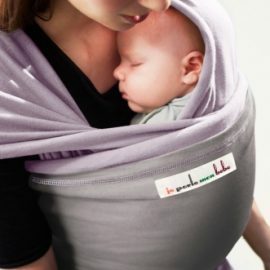 Please take care of the baby carrier; we hope these carriers will be able to help lots more parents in the future. Do not launder the carrier. All carriers are laundered regularly. You may spot clean the carrier with water. If you feel you must launder the carrier before returning please ask for directions from sling library.com or call Yolanda on 07747 867065, as many carriers have specific laundering requirements. The carriers must be returned at or before the return date. If you cannot make it to the session, then please contact slinglibrary.com or Yolanda on 07747 867065. It is your responsibility to make sure the carrier is returned before the loan expiry. Late fees will be charged at 5 pounds the first week, then £1 per day or part thereof after that. You can arrange an extra hire term by contacting the library before your carrier is due to be returned. If we do not hear from you within 30 days from the end of your loan, we will consider the carrier stolen and start court proceedings for the late fees and cost of a replacement. If you are unable to return your carrier by the agreed date due to Library staff illness or holidays, we will extend your loan period for free and agree a new returns due date with you. A digital copy of these Terms and Conditions, including details of your hire will be sent to you on the email you provided. You will be asked to sign a loan form agreeing to the terms and conditions before you hire a carrier. All carriers are checked before lending to ensure that they are in good condition and working order. The borrower may check the condition of the carrier prior to the start of the loan and must confirm by signing the loan form that it is in working order. All carriers are provided with instructions for safe use by email. All slings, carriers, instructions and accessories remain the property of SlingLibrary.com at all times, and all loans are subject to availability and our discretion. Your personal details will be kept in accordance with the Data Protection Act 1998, and will only be used to contact you in relation to your loan.